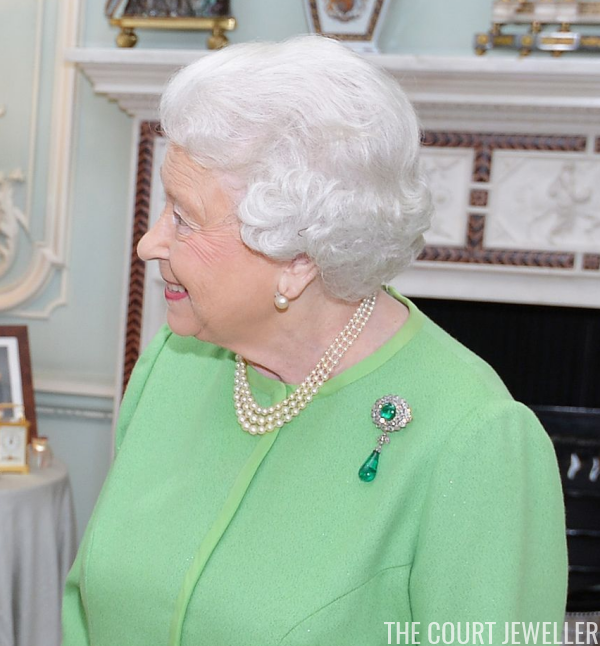 Magpies, you're in luck: was a double brooch day for Queen Elizabeth II yesterday! 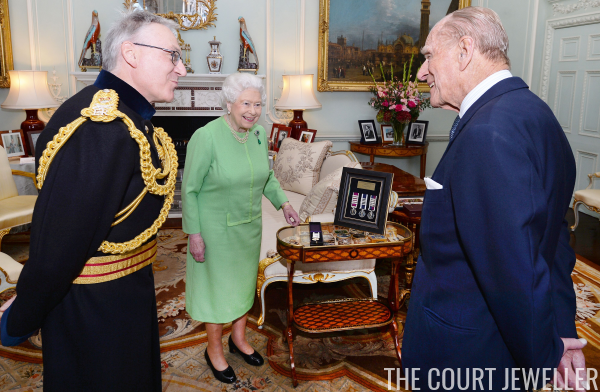 Starting off at the palace and then ending up at an awards ceremony, we saw an extra dose of bling from the Queen. In the morning, the Queen held audiences at Buckingham Palace. 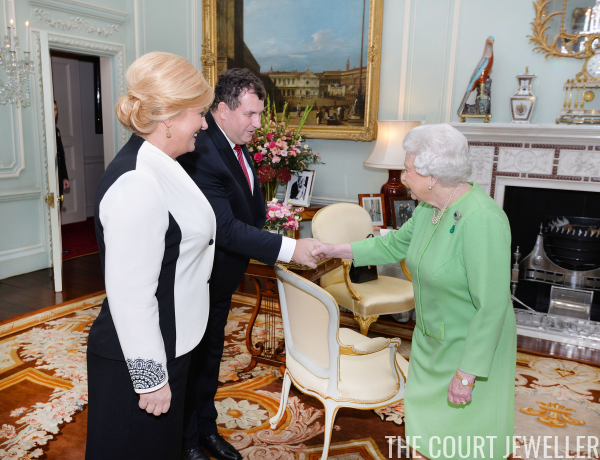 For these meetings, which included an audience with Croatia's president and her husband, the Queen wore the Round Cambridge Emerald Brooch with its pendant drop. 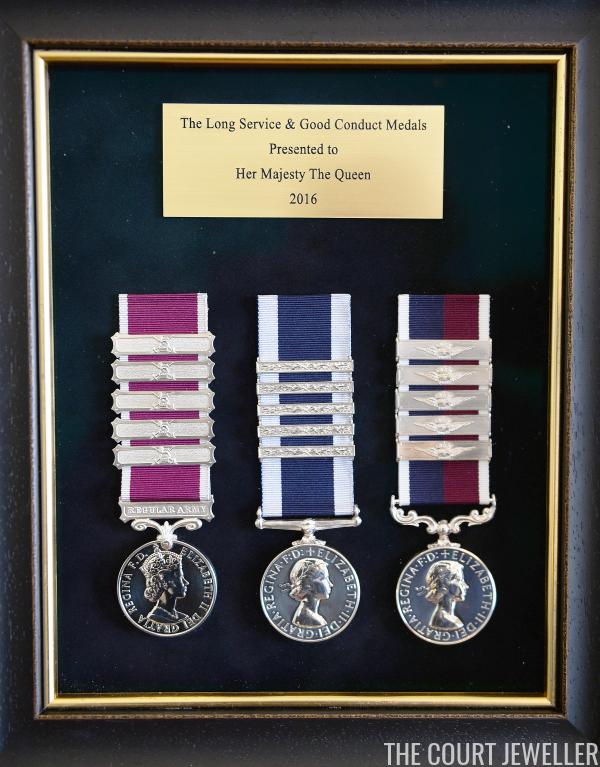 The Queen and Prince Philip were also presented with long service and good conduct armed forces medals by the Deputy Chief of the Defence Staff. Both of them were clearly delighted with the presentation. 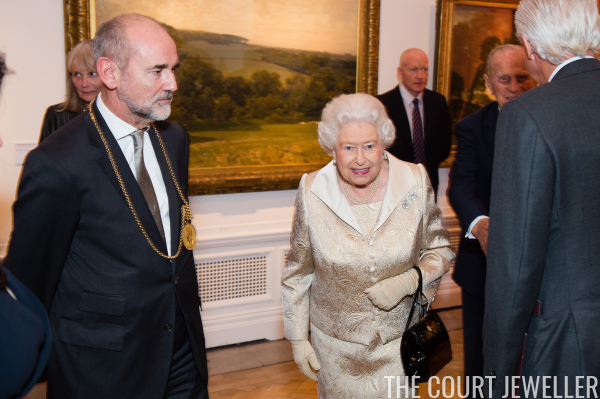 In the evening, the Queen and Prince Philip attended a reception and awards ceremony at the Royal Academy of the Arts. 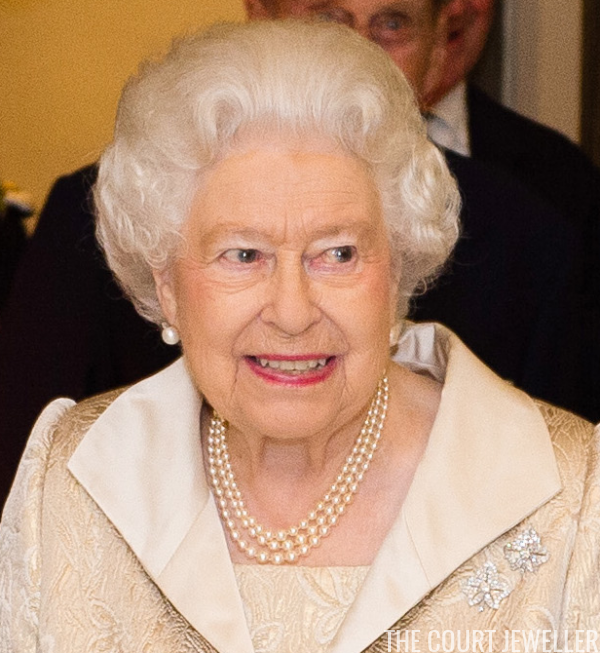 It's difficult to see in many photographs, but the brooches that the Queen wore to the evening event are the Ivy Leaf Clips from the Greville bequest. The brooches were made for Mrs. Greville by Cartier; the then-Princess Elizabeth received them from her parents as a 21st birthday gift in 1947.